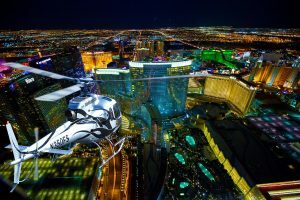 My wife surprised me with a helicopter ride over Vegas! It was a beautiful experience. The customer service they provided made me feel like we were celebrities! Everything was absolutely beautiful and amazing. I would recommend this company to everyone I know if they want a luxurious ride in a helicopter!!!!!!! Thank you all so much for the memeories my wife and I will cherish forever!!! Terrible experience with 5 Star Helicopter Tours. I do not suggest using this company. I never received a confirmation call so I called them the morning of our evening flight. . They said my booking was for 2018 not 2017. I had to correct their error. Also the male representative I spoke said I was at a different hotel. Had to correct that error as well. Rep said to be ready at my hotel lobby at 8pm. Our flight was 930pm. We waited 1hr... the finally showed up at 9pm. Driver picked up 2 other customers. On the way we watched a short safety video. We arrive at 5 Star Helicopter Tours at 935pm, 95minutes to get there. I saw that our Helicopter was waiting for us on the pad. We were rushed into building to get weighed and sign waiver. No drink or "Sparking Wine" was offed to us. No apologies for the Driver being an hour late. Two young men went over safety procedures again and were rude to me about my phone flash, that was already off in my pocket. We go to waiting Helicopter, get in and buckled up. At this point it is 950pm. As the doors were closing, the pilot says... "Oh no... we have a warning light. Bad news. We have to all get out to restart the Helicopter". All of us get out and go inside. Then not more than a minute later the Manager comes over and says... "So we do not have a mechanic on site and will need to call one. It will take approx 40min before one will get here to maybe fix the Helicopter ". She then asked what we wanted to do. Are you joking? It is now 10pm. Refund please, we are done. Driver proceeded to take us back to our hotel. Got back at 1030pm. 2 1/2 of our lives gone... and a huge disappointment for my daughter and I. I do not recommend 5 Star Helicopter Tours. Amazing experience! Our group signed up for a tour over the strip at night. A very nice shuttle picked us up from our hotel and brought us to the airport, where we were greeted with glasses of champagne to sip while we waited for our flight. Staff members were very friendly and helpful. Sterling was our pilot and he made the experience so fun! Highly recommend. I booked the flight on July 4th at 9:00pm. Just in time to see the fireworks at all the big casinos. They even verified that we would take off at 9:00pm when they called the day before. We arrived over a half hour early and was never told they were running almost a half an hour late. When I confronted them about a discount or canceling the ride they rudely said no. I paid for two seats because of my weight and got stuck on the right side where you could not get a good picture. Absolutely Amazing experience!! Our pilot was wonderful (Lars B.)!!! Made the helicopter ride really fun! Definitely would love to go again!